Away from animation and noisiness of the city, An Khang Building is a harmony combination of wind, sunlight and plant. Staying in the middle of the urban but you will enjoy freshness from the nature and this will give you and your family calmness and peace.Located at an ideal place in the center of District 2 (An Phu An Khanh Urban), An Khang building is adjacent to Thu Thiem Urban, away only 3km from city’s center and in the area of high-class apartments as The Vista, New Saigon (HA3), The Estella, Cantavil, etc. as well as Metro Supermarket and International School. The property is a combination of moder features and peaceful living environment. 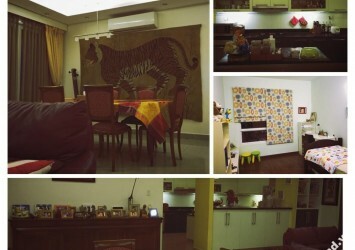 + 90 sqm, 1 living room, 3 bedrooms, 2 bathrooms, kitchen, dining table,… Price 2,2 BL VND to 2,5 BL VND. + 105 sqm, 1 living room, 3 bedrooms, 2 bathrooms, kitchen, dining table,… Price 2,5 BL VND to 2,9 BL VND. + Penthouse 207 sqm, 1 living room, 4 bedrooms, 4 bathrooms, kitchen, dining table,… Price 5 BL VND to 6,2 BL VND. Many facilities: gym, tennis courts, view airy environment fresh green space quiet, security 24/24 with camera, basement for cars, Honda safe convenient, low management fees, restaurant below, the fresh air.